In early days, the only way to remove tarter from above as well as below the gum line had been by scraping off with a hand tool. 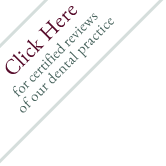 Aided by the Cavitron Ultrasonic Cleaner, our own hygienists can delicately, and easily take away tarter with high frequency sound. 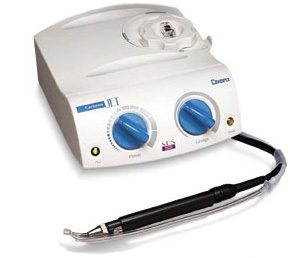 The Cavitron Ultrasonic cleaner is a harmless, reliable and painless substitute for traditional cleaning means. The Cavitron Ultrasonic cleaner vibrates at the speed of sound so that you hardly feel any movement. This causes even a deep cleaning a lot more enjoyable experience.